Have I shared this romper before? Yes. Is it completely sold out? Yes. 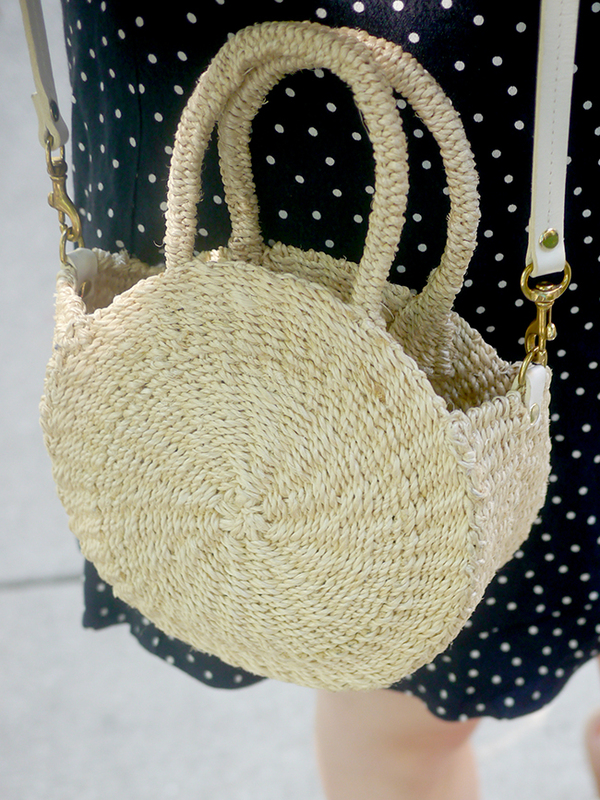 So much of this blogging thing is showing you what's new and now and never ever sharing something that's (gasp) old!) 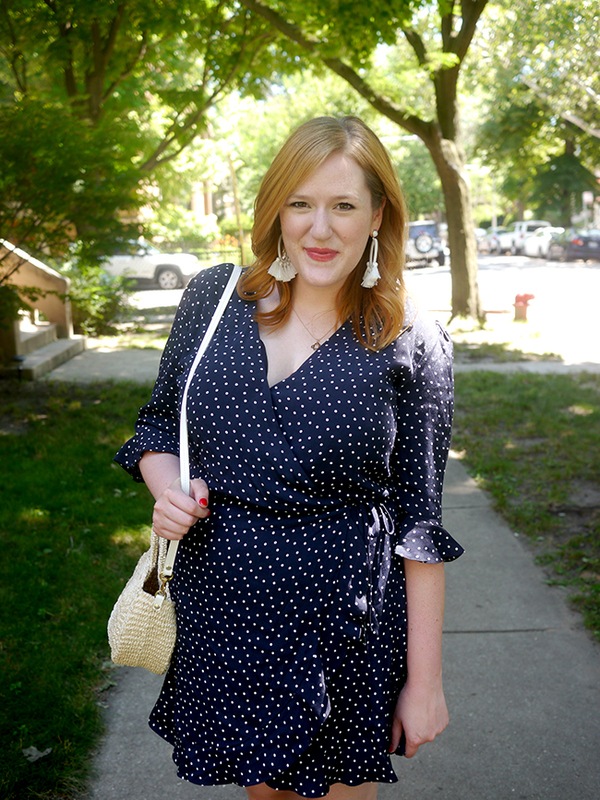 But really, KDTI is about sharing my real outfits in real life, and this is a real outfit I keep repeating! While I've worn this for date night and while traveling, on this particular occasion I was headed to a Cubs game with the fam! Sometimes I go for tees and baseball hats for baseball, and apparently sometimes I go for pinup girl ;) I love that the Cubbies wear red, white, and blue since it basically matches my summer wardrobe. I've been rocking red finger and toenails for a solid month now, and I'm not mad about it. This Cubs game in question was really fun - we call it "family day" and Jeff's dad gets a skybox for my family and Jeff's family. My three-year-old niece Mae came and amused everyone by repeatedly handing everything she was holding to the person sitting next to her so she could clap along with the crowd and doing toddler yoga in the middle of the floor, and my brand-new nephew Clark (they claim he wasn't named for the Cubs buuuuuttt...) was wide-eyed and ended up getting passed around the room for baby cuddles. Oh and of course the best part (you know, besides actually seeing the Cubs get a W!) is the dessert cart - my order is always ice cream with cookie dough, oreos and fudge! Woof, I may have just given myself a secondary stomach ache haha. Anyway, back to the clothes! 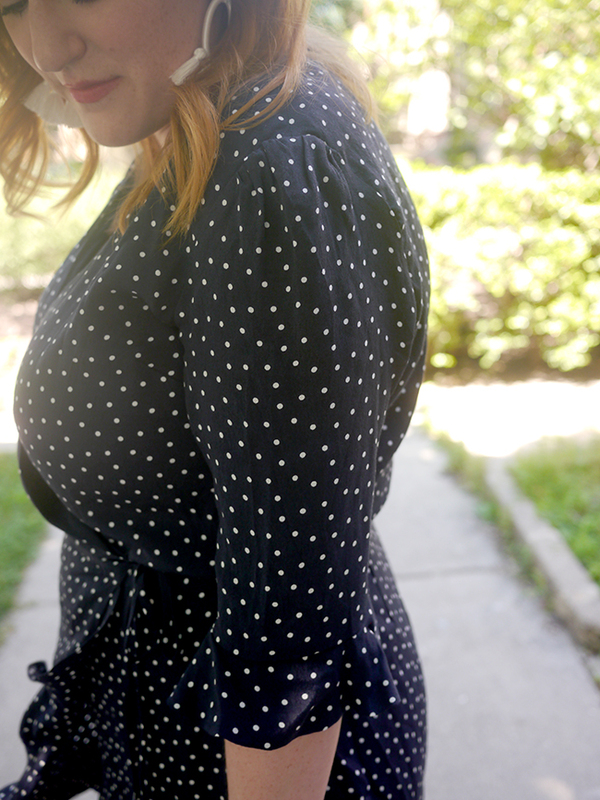 Wrap dresses like this one have been huge this summer, and can be really flattering but also tricky for a larger chest - if you aren't careful, you can end up showing a lot more skin than you planned on! Luckily there's a really easy fix. Most wrap dresses have a snap or a hook and eye that would never ever work for me, so I really carefully snip them off and resew them on in a place that works on me. It's a five minute fix that makes a world of difference!